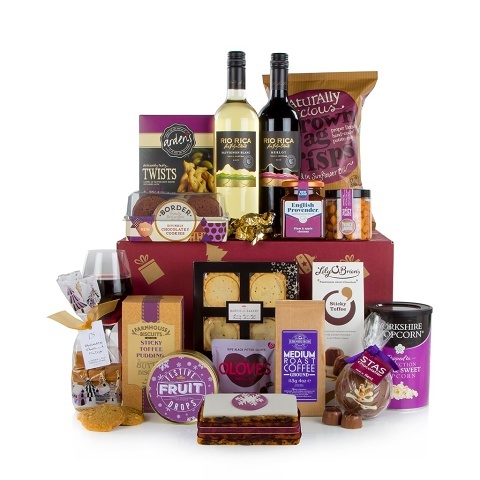 This Best of Christmas hamper is packed full of delicious fine food and wine and is packed in a convenient, sturdy and 100% recyclable festive postal carton. The traditional fine food has been carefully selected for its warmth and richness of taste and colour from the The Original Cake Company Top Iced Slab Cake to the Farmhouse Biscuits Luxury Sticky Toffee Pudding Butter Biscuits. This fabulous hamper will make a lovely gift for friends, family or a corporate gift for your clients or staff. The Silent Night Carton Hamper is also available in a traditional lidded wicker basket.